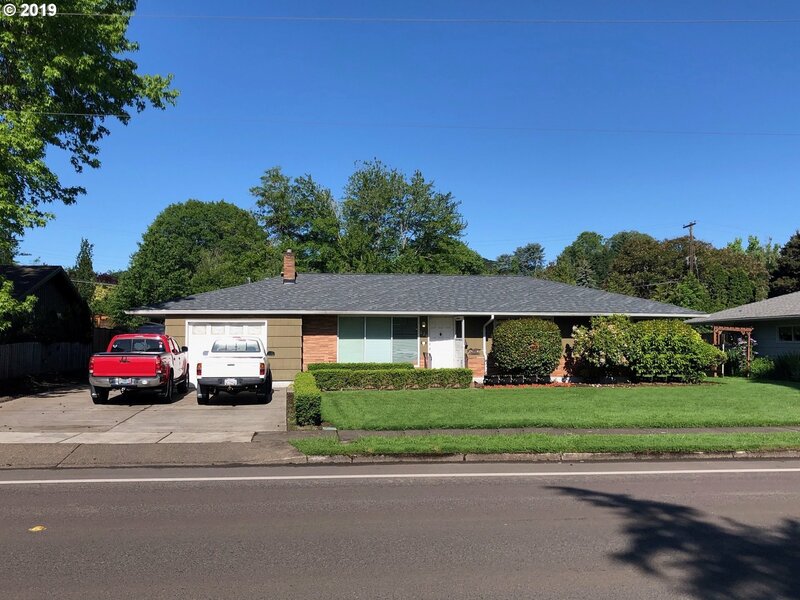 All Corvallis homes currently listed for sale in Corvallis as of 04/21/2019 are shown below. You can change the search criteria at any time by pressing the 'Change Search' button below. If you have any questions or you would like more information about any Corvallis homes for sale or other Corvallis real estate, please contact us and one of our knowledgeable Corvallis REALTORS® would be pleased to assist you. "Absolute find just minutes north of Corvallis, OSU, hospital, & in the Willamette Valley AVA! Gorgeous estate home in a manicured setting w/pool, pool house, fishing pond, garden & views of your farm. Grass airstrip & hangar, 4 Rental Homes, 70x120 Covered Arena. Excellent quality, irrigated soils suitable for most crops common to the area. 17+ acres planted vineyard; Pinot Gris & Pinot Noir. Woodland w/private duck pond." 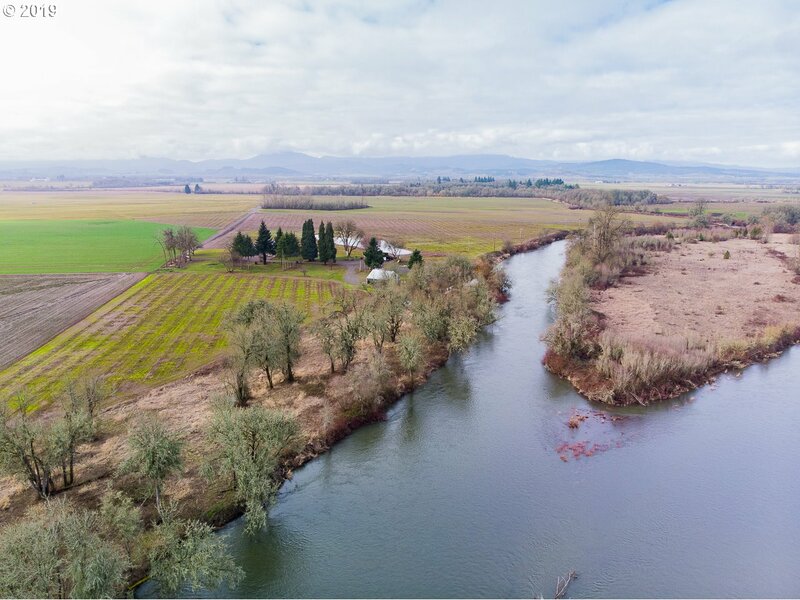 "Willamette Riverfront 100 acres of 15+ yr. old Casina(30 acres)and Ennis(75 acres)interplanted with approx. 7-10 year old Jeffersons. This orchard has so much upside with the still maturing Ennis trees while having the Jeffersons as an insurance policy. The Hazelnuts are planted in some of the best soils (Chehalis, Cloquato and Newberg)the valley has to offer and are expected to have a surge in production after some recent heavy pruning"
"Just min north of Corvallis, OSU, hospital, & in the Willamette Valley AVA! Gorgeous estate home in manicured,park-like setting w/ pool, pool house, fishing pond, garden & water feature! Grass airstrip & hangar. Excellent quality, irrigated soils suitable for most crops common to the area. Approx 4 acres newly planted vineyard; Pinot Gris & Pinot Noir. Woodland w/ private duck pond. Views! 100+ addtl ac w/ rentals also avail." "Profitable, established turnkey organic farm/business. Desirable Corvallis location-43 irrigated A. 13 A temp-controlled & passive greenhouses for year-round growing of fruits, berries, herbs, vegs for marketing thru wholesale, CSA, & 5 farmers markets. Good soils, tiled/drained. Packing shed, barn, bunkhouse, lots of storage inc cold storage. Extensive equipment inventory. Comfortable ranch home. Owners retiring-1st time on market!" "2 tax lots, 2 homes, equine facility & Pinot Gris/Pinot Noir vineyard just min from Corvallis, OSU, the hospital & in the Willamette Valley AVA! Phenomenal views of Mary's Peak & the Cascades! Excellent soils, Grass Seed, & Hay. Equine Facility includes 70x140 covered arena, 11 stalls, 2 tackrooms, turnouts, pastures, & outdoor arena. Current boarding income. 52x36 SHOP BLDG. 2nd Home: Nice 3 bdrm 1994 MFH." "Country Elegance and peace on the confluence of the Willamette and Long Tom Rivers, this amazing estate on 48 acres is comfortable luxury at its finest. Vaulted ceilings and pass through rock fireplace to the covered back patio allow enjoyment of the scenic Willamette Valley all year round. Kitchen has gas range, dual convection ovens,and attention to detail. Master suite on the main floor with exit to the patio, wet-bar,& 2 w/i closets"
"There s room for everyone in this spacious custom home, tucked away in a serene setting in NW Corvallis. Take a dip in the indoor pool or cozy up by the fireplace. With large, open spaces, this home is the perfect place for gatherings. Tons of windows fill the home with natural light & let you enjoy the surrounding forested views. Explore the numerous trails in McDonald Forest, just down the road! Plus, 15 min from downtown Corvallis." "Tastefully designed with timeless, high-end finishes the stunning home offers impressive views and versatile entertaining spaces creating the perfect blend of indoor/outdoor living. Gourmet kitchen with cherry cabinets, granite counters, and double ovens, plus two master suites, an office and bonus room!" "Opportunity to own an architectural masterpiece! Forested oasis on 1 acre on quiet cul-de-sac. Abundance of windows & light for even the darkest days. Huge Family Rm & so much space to play, work & enjoy the tranquility. Every BR w/ BA en-suite. Master on entire 2nd level w/ 2 studies & fireplace! Extra studio w/ kitchenette above garage for your choice! Gorgeous granite view kitchen & 3 eating areas! Abundance of NW Oregon beauty." "This architectural masterpiece has yesteryear charm, yet is perfect for todays living. Master on the main, beautiful kitchen and eating areas and a massive room above the garage which could be a bedroom or rec rm. Additional detached studio with room upstairs has many potential functions and large 32 x 60 shop is another bonus! Gorgeous setting and peaceful living just outside town. Don't miss this home with unique offerings." "Step back in time & enjoy this beautiful classic gem! The original Mark Rickard House was built in 1924 & recognized in Benton County's Register of Historic Places. 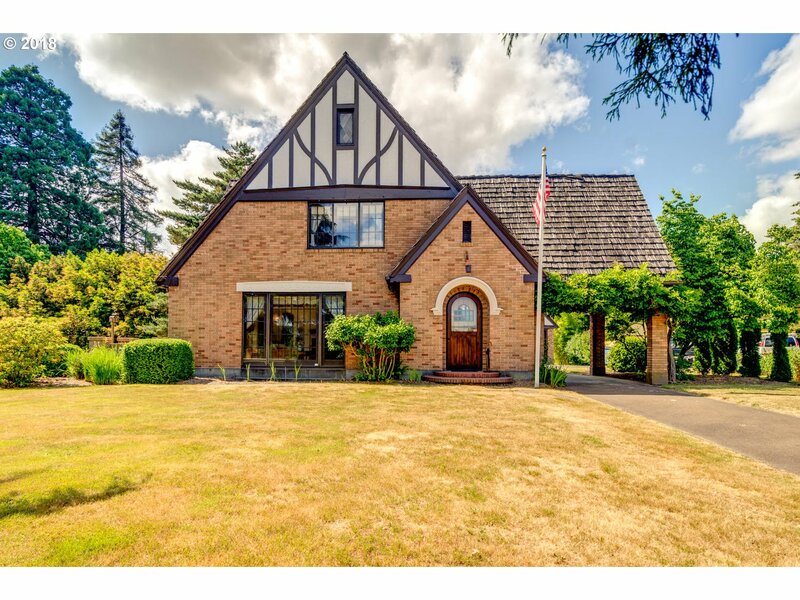 This stately home sits on 2.11 acres across the street from the Willamette River just outside of town. 4 bedrooms, 2.1 bathrooms. Long circular driveway with formal Porte-Cochere & views of the river. Enjoy a variety of fruit and nut trees. Brand new composition roof." 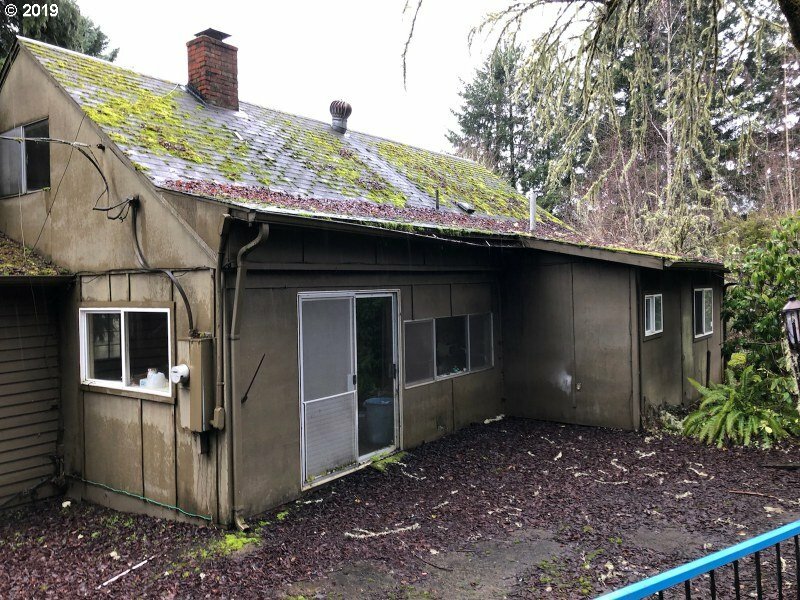 "Filbert opportunity on highway 34! 17 acres of dbl planted, 4 yr old Jeffersons. Drip irrigation, organized into 4-zones, pulls from 60 gal/minute well. Water rights, w/2 years remaining on the conditional use permit, from Owl Creek. Soil mix of Chehalis, McBee, Bashaw, & Wapato. See listing, or contact LB for soil map. 28x29 pole barn. Small home sits at front of property, 3 beds, 1 bath, new roof in 2017, w/sunroom. Sold as is." "4 separate houses on 3 contiguous tax lots zoned MUE. All are rented mo. to mo. Owner carry 10yr, 30% down 6 1/2 - 7% into homes on wells. Selling as package only. All fairly well-maintained inside and out, w/ mostly newer floor cov, kitchens and baths." "Architecturally unique mid-century home is like no other! Designed & lived-in by well-known local architect, who considered this home to be among his finest work. Full of character & light, enjoy the gorgeous views, custom features, & extra space this home provides. LR & DR have beautiful hardwood floors & large custom windows. Elevator from separate garage takes you down to the front entry. Great neighborhood. 3D Virtual Tour." "Beautifully maintained Grand Oaks home. Light & bright with tall windows and two story entry. Open floor plan with hardwood floors, cozy gas fireplace, tray ceilings and formal living room. Kitchen boasts maple cabinets & gas cooktop. Master suite w/ soaking tub & 2 walk-in closets. Bonus den/office or potential 4th bedroom. All new flooring upstairs and brand new carpet throughout. Freshly painted exterior. Fenced backyard with patio." "Beautiful updates! 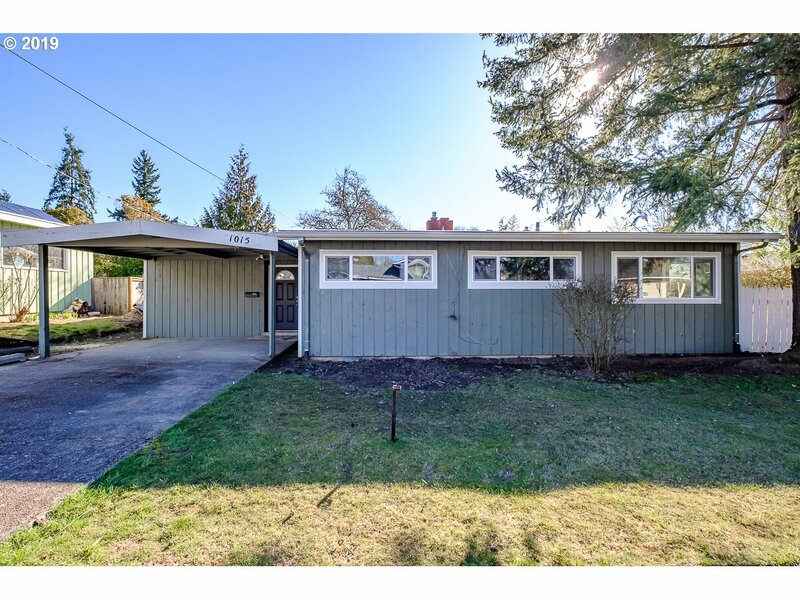 Large contemporary ranch home in NW Corvallis. Spacious main living room with wood burning fireplace, vaulted ceilings with exposed wood beams. New kitchen with grey shaker cabinets and granite countertops. New carpeting and flooring to accent original hardwoods. New paint throughout. New windows! Layout can work for possible additional living." "Large home in great location close to so much! Built by Gilder Homes. 4 bedroom, 3 full baths, open floor plan. Could be dual living w/ modifications. Newer paint,carpet, updates in baths. Close to parks, shopping, schools, bus lines, medical offices. Average heat/electric combined $214.00 p/mo." "Great single story NW Corvallis ranch on a flat, private fenced 10,454 Sq Ft backyard. Large living room with wood flooring. This property has always been rented to students for years due to its ideal location relative to the main campus and all amenities, shopping and bus line. 8 cars parking space on driveway." "Private Wooded Setting near Town.Over 1/2 Acre.4 bedroom 1 bath 1,817 sqft plus 1088 sqft Unfinished Basement.Room to add bathrooms/bedrooms if needed.Huge yard for outdoor entertaining.Lots of parking.Near bus,shopping and Campus.Original Wood Floors,Fireplace.There is no Garage.Lease Option to Buy requires a pre-approval loan letter and large earnest money.Ask for details.One Seller is a licensed Real Estate Broker in OR"
"You ll feel right at home in this adorable 3Bed/2Bath single level home, located on a quiet cul-de-sac. Beautiful hardwood floors have just been refinished and are ready for you. Master bedroom has walk-in closet, plus dual sinks in the attached bath. Central A/C and gas forced air. Backyard has been freshly landscaped and has raised garden beds and a fire pit. 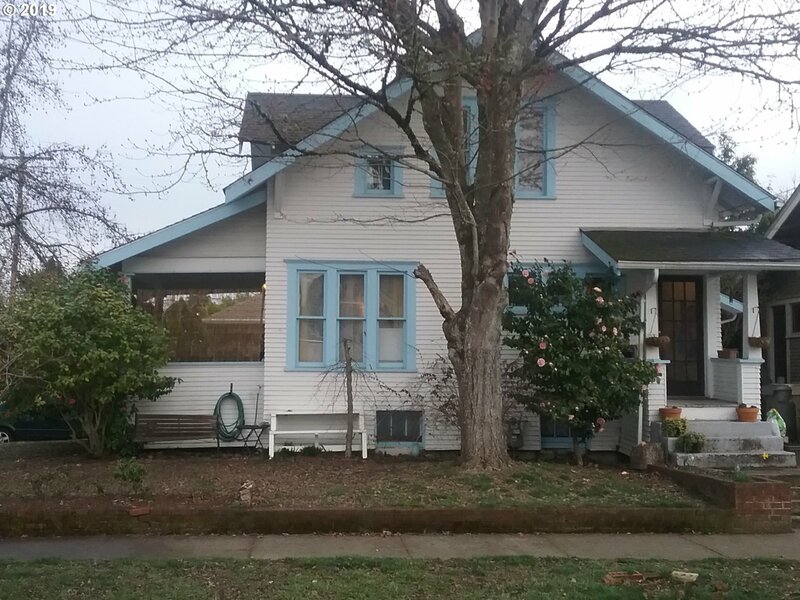 Close to OSU, shopping, parks, and bike paths." 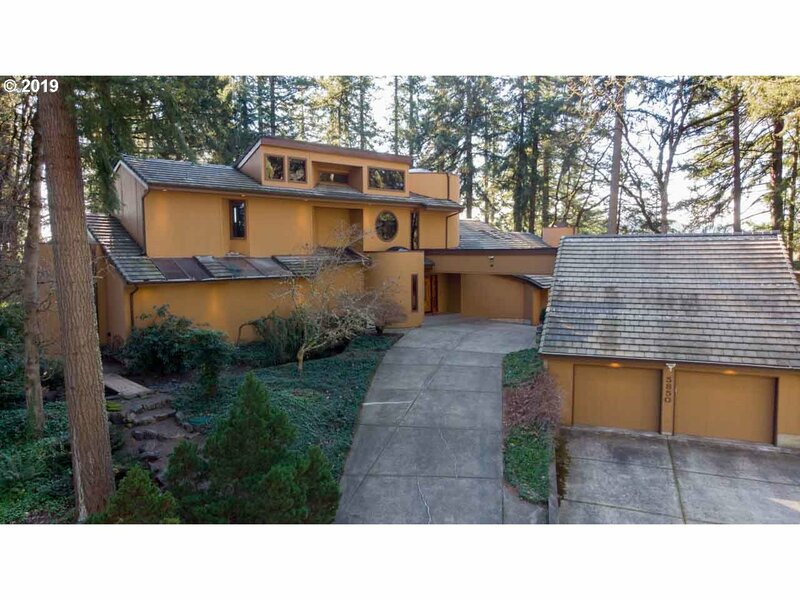 "Immaculate home in PRIME Willamette Landing. Open floor plan with vaulted ceilings, gas fireplace in living room, newer appliances. Bonus room could be 4th bedroom or office, is part of converted garage. Can be converted back. Landscaped yard. Sprinklers. HOA offers TWO pools & fitness facility. Lovely neighborhood perfect for 1st time home buyer or students attending local colleges. Gas BBQ & kitchen island bar stools are negotiable." "Dual living in the country. This amazing property has two homes on one .71 acre property. The main house has 3 beds and 1 bath while the guest house has 1 bed and 1 bath. The main home has approx. 1500 sqft while the guest has approx. 506 sqft. They each have separate Septic systems but share the well. The mobile home on the property is of no value and can be decommissioned. This property has beautiful views of the coastal range and is"
"What a gem! Historic Victorian Home built in 1918. 2 blocks from OSU Campus in prime neighborhood. 2 family dwelling home. Two story with developed basement.Home has lovely fir floors, high ceilings, separate upstairs apartment, full basement, single garage, gas cooking, gas forced air heat, lots of windows, beautiful covered front porch. First American Home Warranty provided with full price offer.View by appointment only." "Great private gently sloped acreage with two houses. Original house is around 900 sq ft and second, newer house is around 1800 sq ft, and in between lies a neat in ground pool. Very private location"